K-12 TLC Guide to Education K-12 TLC Guide to Teacher Tools. K-12 TLC Guide to Family Resources. K-12 TLC Guide to Growing Up. Building Parent-Teacher Partnerships, American Federation of Teachers. Clearinghouse on Early Education and Parenting. Family Times Newsletter, West Virginia University. Family Works, University of Illinois. How to Work With Students' Families, Teachers Network. 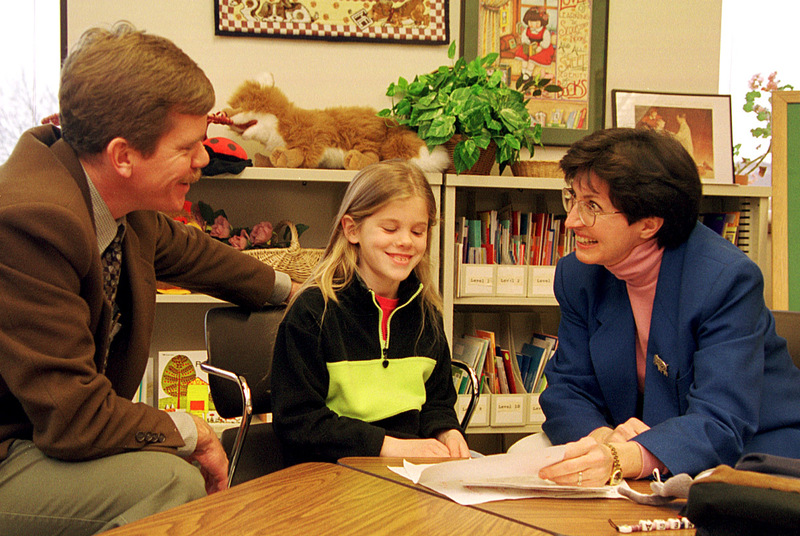 Child's Success Depends on Parent-Teacher Cooperation. Tips for Parents: Parent-Teacher Relationships Important to Child's Success. Parent Involvement at the Middle School Level, Middleweb. Questions Parents Ask About Schools, U.S. Department of Education. Working with Parents: Advice from Teachers, Education Oasis. Addressing the State of Parent-Teacher Relations. Promoting Success, with Parents' Help. Teacher Says: Teacher and Parent Relationships. Tips for a Better Parent-School Relationship. Wisconsin's Early Childhood Excellence Initiative. ASPIRA Parents for Educational Excellence. Family Involvement Network of Educators. National Coalition for Parent Involvement in Education. Hopewell Valley Regional School District. Parent-Teacher Conference Time, CBS News. The Public School Parent's Network. Tips for Parent Teacher Conferences, Gatewood Schools.